EDUCATIONAL TOUR FOR SCHOOLCHILDREN The guided tour of the museum and one synagogue for schools. 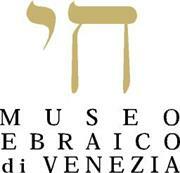 The guided tour includes an introduction to the Jewish Culture and to the history of the Venetian Jewish Community through the objects kept inside the museum. At the end of the visit of the museum schoolchildren and students are taken inside one of the Venetian Synagogues. The educational tour for school is meant to approach Italian schoolchildren and students to the Jewish culture, to the history of the Venetian Jewish quarter and to the use of the synagogue. The educational tour lasts 1h about and costs 4.50 € for each student and can be effected along the all school year except on Shabbat and on Jewish festivities. It is performed only in Italian.